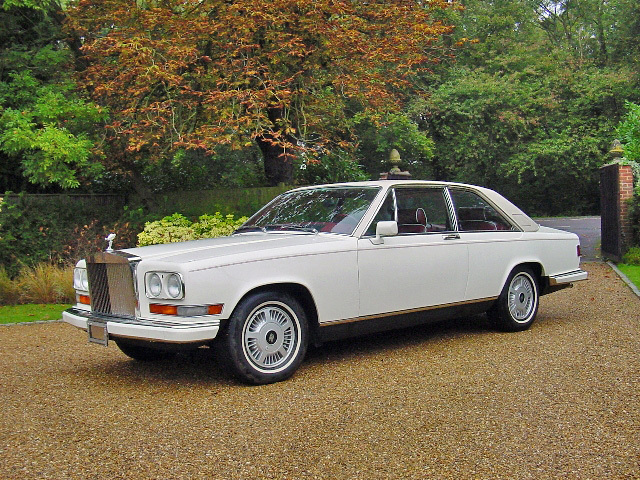 Here is the Rolls Royce Camargue Limited. It is limited, not only because it says it on the badge, but it is a limited or special edition run of just 12 cars. Why you may ask? Well luckily the plaque tells me so. 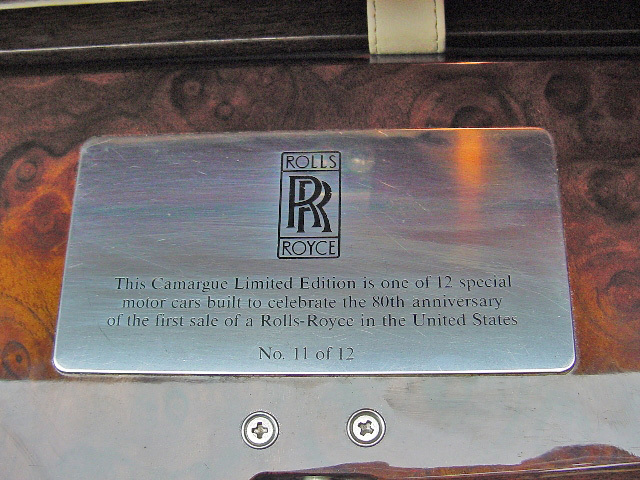 "The Camargue Limited Edition is one of 12 special motor cars built ro celebrate the 80th anniversary of the first sale of a Rolls-Royce in the United States." It actually does say 'Limited' on the badge which is slightly unusual. 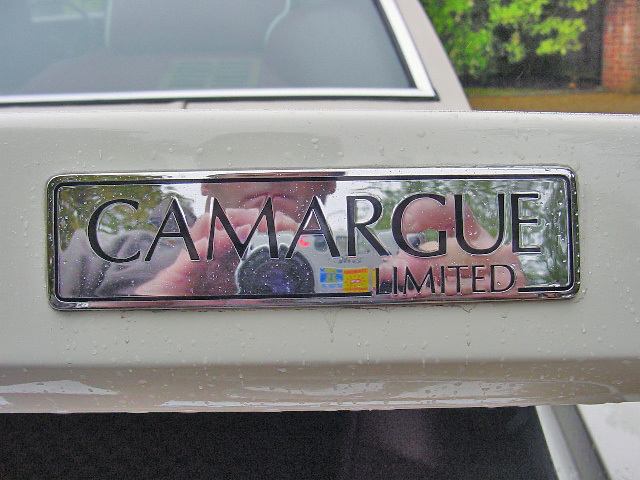 Usually limited or special cars have a different coloured badge, not something else written on them. All 12 cars are to the same specification. 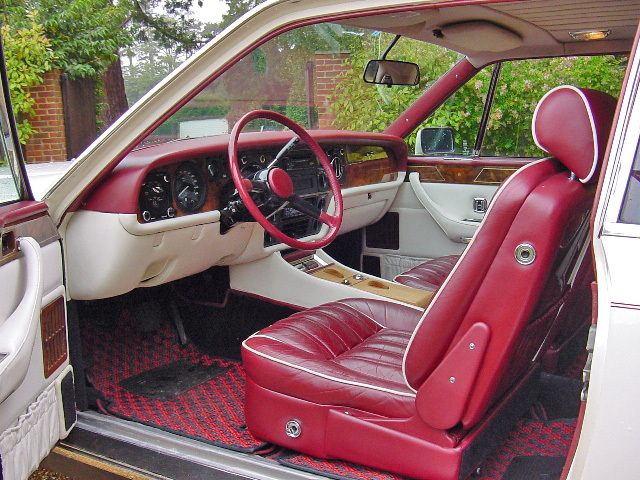 White with red and white interior, colour coded bumpers and alloys. Of the 12, not all have ended up staying in the United States. One has been spotted in Monaco here, one has come up for sale in Japan, and is pictured below. One was even made into a hard top convertible, but that is another story.